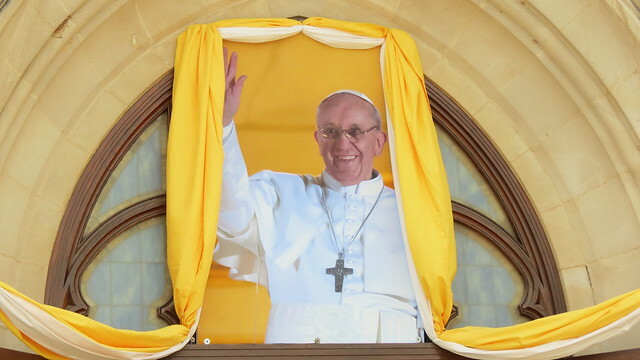 Strangely enough, the photo of a banner of Pope Francis at Tulsa’s Holy Family Cathedral is the most popular by far of the 46,000+ photographs I have on Flickr. We have been having a welcome break from the whole Donald Trump/ Hillary Clinton thing now days. Pope Francis has come to America and America likes it. His message of compassion seems to be touching a core to many of us Americans who are tired of the way things are. 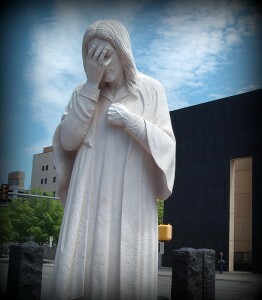 It seems to be an emotional experience for many of us, even us who are not Catholic. One of the things that interests me is that an Oklahoma Native American ballet company will be performing a small piece for the Pope Sunday in Philadelphia. The Osage Ballet Company based in the tiny little town of Oklahoma will be presenting a segment of Wahzhazhe a ballet made specially for them. 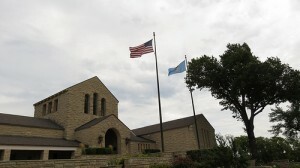 The connection between the Catholic Church and the Osage tribe goes back to 1673 when Father Jacque Marquette evangelized the tribe. The Osage tribe is no newcomer to Ballet. Two sisters, Maria and Marjorie Tallchief, both members of the Osage tribe were important dancers on the international dance scene. 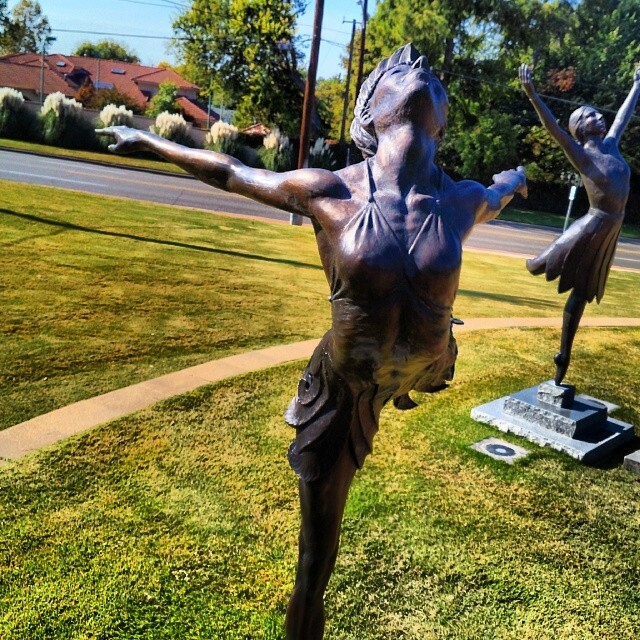 She was America’s first Prima Ballerina. Maria Tallchief’s “Sugerplum Fairy” made the “The Nutcracker” America’s most popular ballet. Maria Tallchief passed away in 2013. Marjorie Tallchief is Maria’s younger sister and also a great dancer. 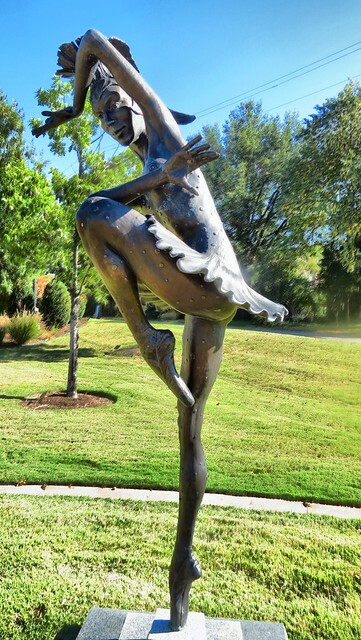 She was named “première danseuse étoile” of the Paris Opera Ballet. She is retired now. Anyways, I think the Pope is a little over-scheduled in his trip but I hope that he enjoys the brief performance by the Osage Ballet Theater during his time here in the USA. 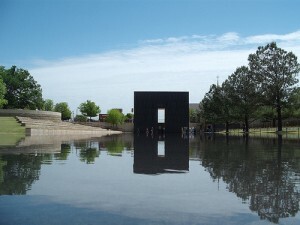 This entry was posted in Oklahoma History and tagged Five Moons, Oklahoma, Oklahoma History, Pope Francis, Tulsa History Center on September 26, 2015 by Alan Bates. SuperPizzaBoy and I took another mini road trip Saturday. 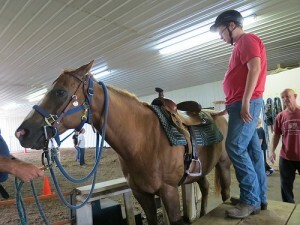 First up was his riding lessons in Ramona, in Phillips 66 and Pioneer Woman territory. After that we drove over to Claremore, Oklahoma. 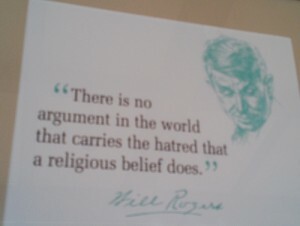 Home of the Will Rogers Memorial Museum. Will Rogers (1879-1935 was born nearby to a prominent Cherokee Indian Family (the guy at the front desk said, with a twinkle in his eye, that Rogers was a “spoiled rich kid.”) Will Rogers was a big celebrity way back when, he starred in movies, vaudeville, radio and wrote a newspaper column carried nationwide. He had a down home, good natured, style and he could poke fun at everybody, politicians of both sides, corporate bosses, union bosses, gangsters, generals and nobody would take offense. 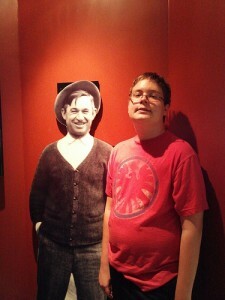 The museum has lots of relics, statues, paintings, posters, and other artwork of his life and times but what is the most fun is that they show his various movies, shorts, and radio broadcasts. Listening and watching those make you realize just how special he was. He was down home alright but also a very smart and well versed man. So if you go, plan on taking some time and sitting in a theater and a scene or two from his movies. Watch a news conference, listen to a radio broadcast. He was a common sense guy with a sense of humor. 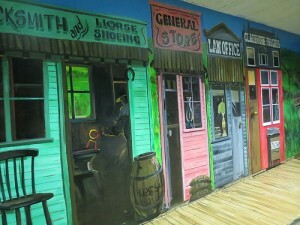 The museum has a children’s area down in the basemenet with a western town, interactive videos, and all sorts of information. 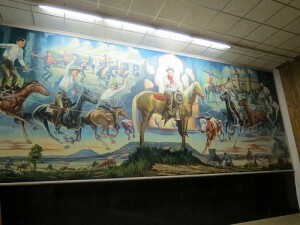 This entry was posted in Oklahoma, Oklahoma History, Our World, Will Rogers on August 5, 2013 by Alan Bates. 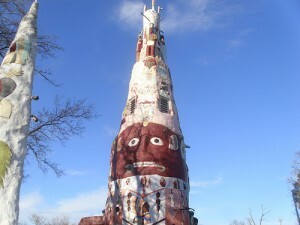 Sunday, SuperPizzaBoy and I loaded up and headed up Route 66 northeast from Tulsa to the little town of Foyil, Oklahoma to check out the world’s largest concrete totem pole. 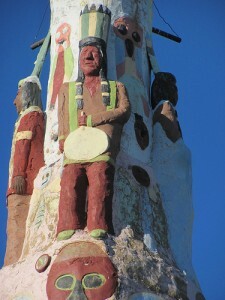 The totem pole is 90 feet tall and is made of concrete over a metal and sandstone base. 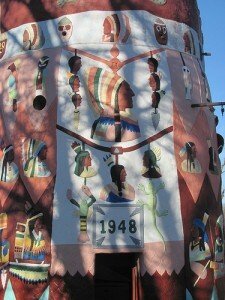 He started working on it in 1937 and finished in 1948. The exterior has many bas relief native American inspired designs. Apparently when asked why he built it he just said that he needed something to do when he retired. 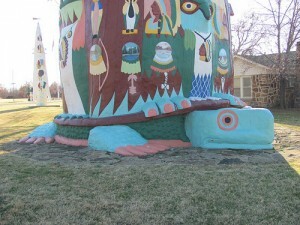 The base of the tower is a turtle. 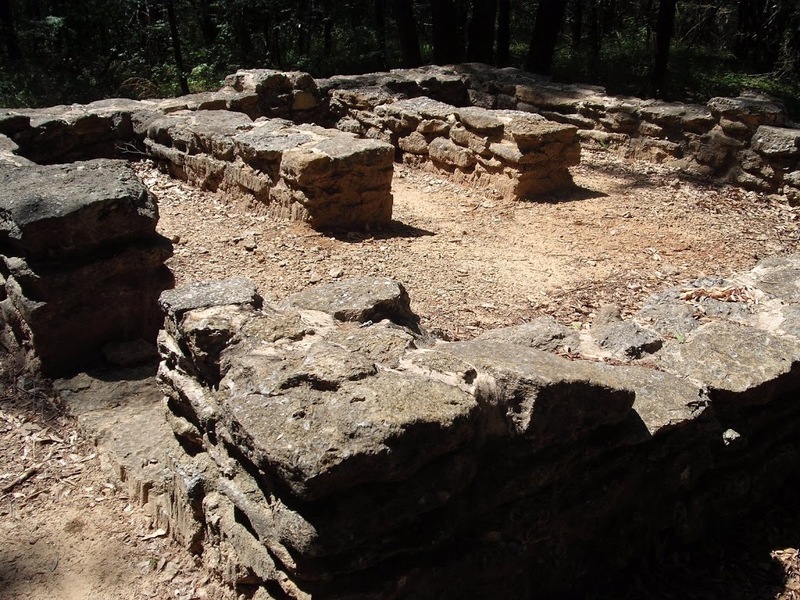 He fashioned it from a sandstone outcropping that was already in place. There is a small room inside that contains more artwork and an informative sign. 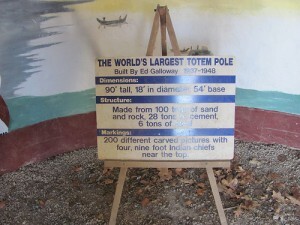 If you start googling you will see find that there are lots of totem poles taller than ninety feet. 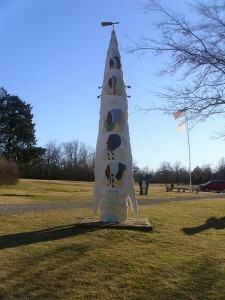 So maybe this is the tallest concrete totem pole. SPB brought his camera. 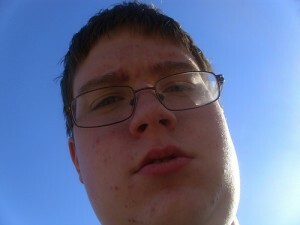 Of course a self portrait was in order. 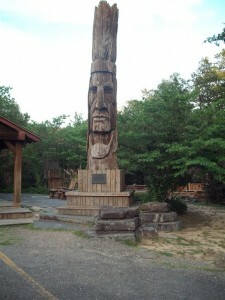 Hmm, this is also a pic of his, That is the scariest face on the Totem. 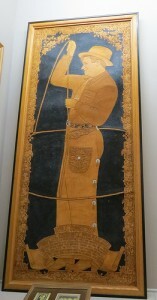 SPB also captured images of some Galloway’s other pieces. I love the arrowhead below. 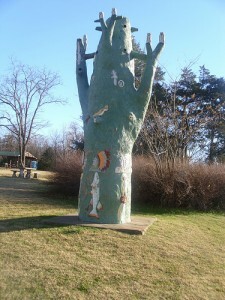 I’m guessing this is a tree trunk. 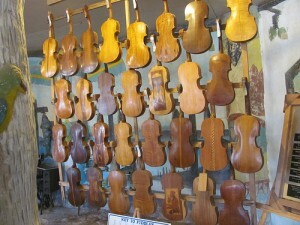 The park has a gift store inside the “Fiddle House” that includes a variety of fiddles carved by Mr. Galloway. 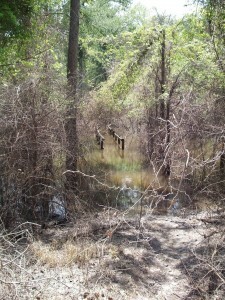 The park has a short nature trail which of course we tried. 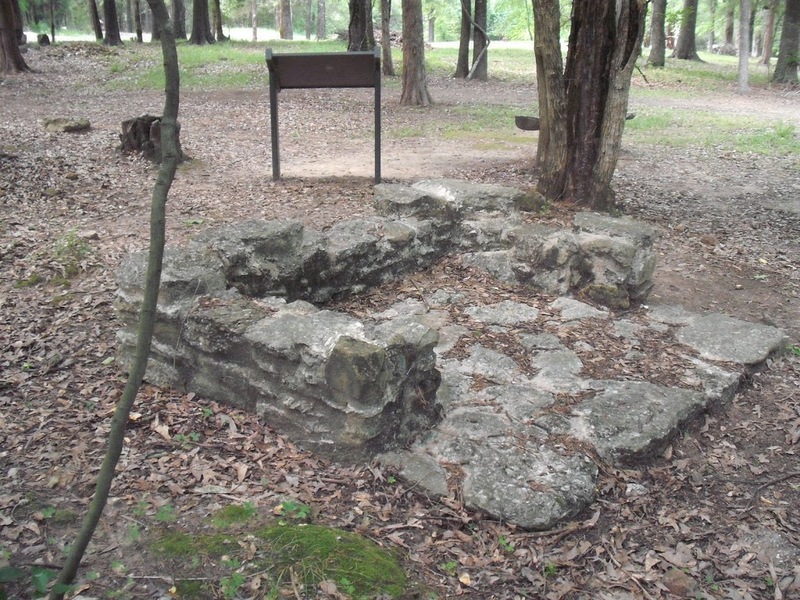 Galloway died in 1961 and the park fell into disrepair until rescued in the late 1980’s by the Rogers County Historical Society who runs the facility today. We’ll post the second half of our road trip next week, unless of course we decide to do something else. 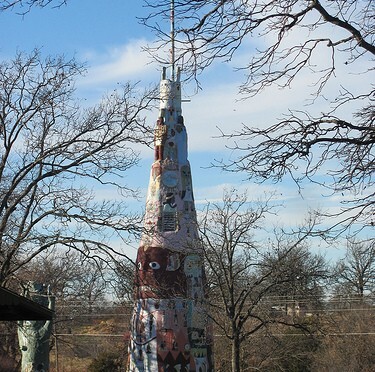 This entry was posted in Art, Attractions, Folk Art, History, Oklahoma, Oklahoma History, Road Trip, Route 66, Sculpture on December 17, 2012 by Alan Bates. 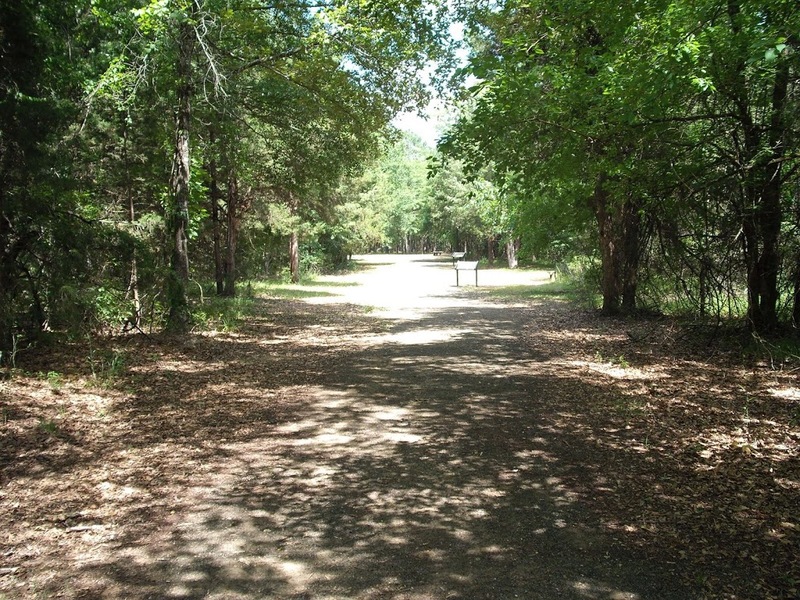 This past Saturday I traveled up to Osage County, Oklahoma to run a race on Frank Phillips old ranch, Woolaroc (“Wood Lakes Rocks”). 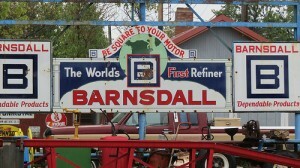 Afterward I drove over to the old oilfield town of Barnsdall. 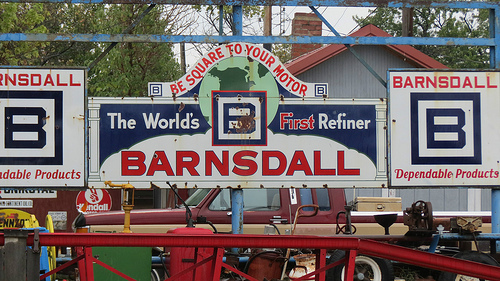 Turned out that Barnsdall had some nice old signs. 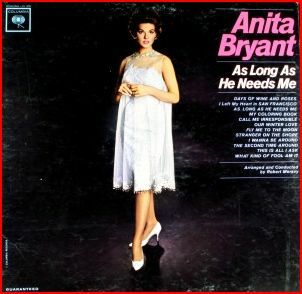 Barnsdall is the birthplace of Anita Bryant. Everybody calm down, I know that she became controversial but she has been gone some time now. It always fascinates me where people come from. I’m always asking where people are from. Except for people from Texas. If people are from Texas that is pretty much front loaded in the conversation. They will not ask you where you are from though, they figure that if you are from Texas you’d of already told them, and they don’t want to embarrass you in case you are not from there. 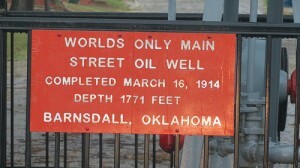 Anyway, Barnsdall claims fame to the world’s only Main Street Oil Well. Here is the sign. And here is the well. I don’t want to burst anybody’s bubble. But I don’t think the well is operating any more. In fact it hasn’t produced in decades. I have access to databases that tell me that it is no longer an oil well. 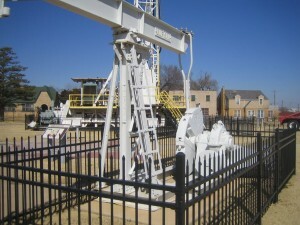 Also they say it is the only “Main Street” oil well. 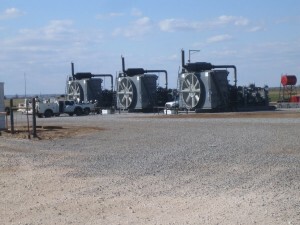 I worked in the San Andres field in the Permian Basin of Texas. They had wells drilled in several streets. That’s right, they just took over the whole street. None of the wells were on “Main Street” though. Hey you know who else is from Barnsdall? 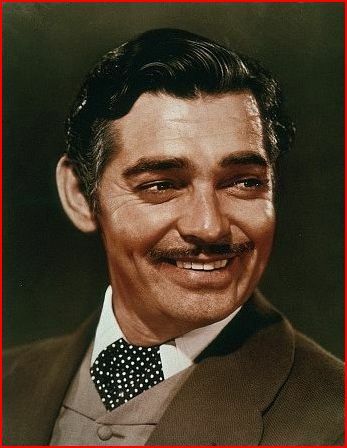 Yep, Clark Gable lived there for a few years when his father worked in the oil fields. I’m telling you Barnsdall is a good place to be from. Barnsdall turned out to be a good place for sign photos. 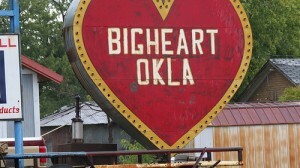 The original name for Barnsdall was “Bigheart” it got changed about a hundred years ago. 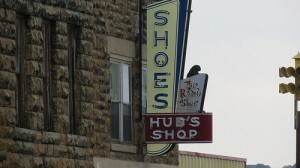 The downtown area had some old buildings and interesting signs. 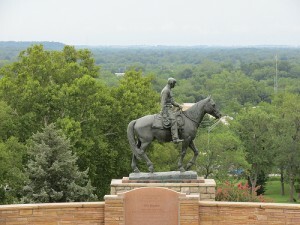 Barnsdall is a nice little town with a lot of history. 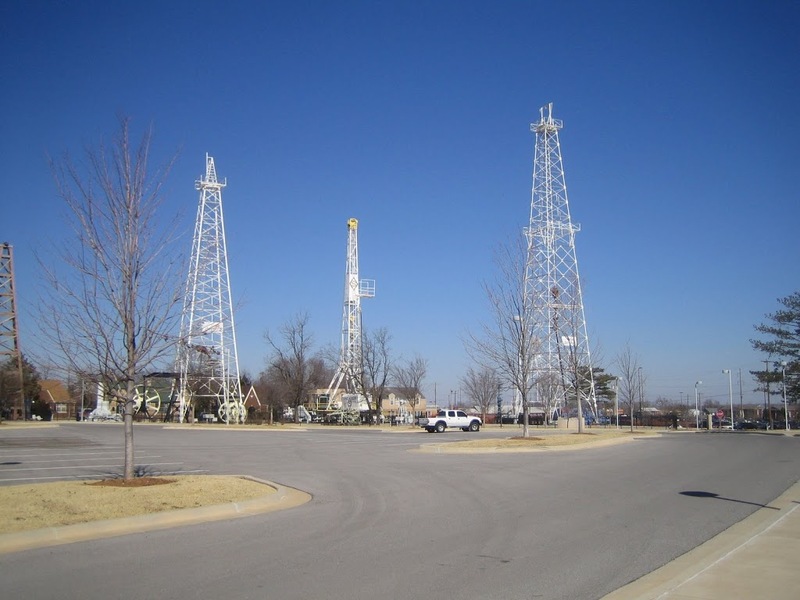 For one thing it is where my employer, ONEOK, got started way back on October 12, 1906 with a pipeline that moved gas from the Barnsdall area to Oklahoma City. The company history is wild and wooly reflective of the booms and busts of the energy industry. I love it. Check out a slightly outdated version here. Oh, by the way, Where are you from? I’m from Espanola, New Mexico originally. My parents lived closer to Santa Fe but Dad called around while Mom was expecting and Espanola was birthing babies cheaper. Kind of set the tone for my whole life. I’ve been looking for deals ever since. 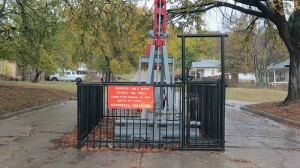 This entry was posted in History, Oilfield, Oklahoma, Oklahoma History, Osage County, Signs on October 17, 2012 by Alan Bates. 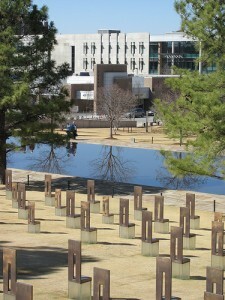 16 Years ago today 168 people lost their lives in the Oklahoma City Bombing. 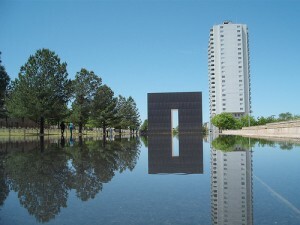 The Oklahoma City National Memorial stands where the Murrah building stood. It is one of the most beautiful places I’ve ever been. 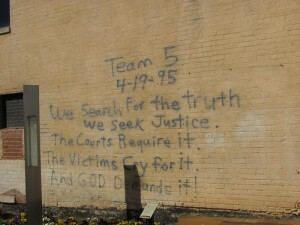 I was living in Tulsa when it occurred. I remember at first it was speculated that Islamic terrorists had perpetrated the crime. Within hours though we found out it was our our own countrymen who planned and executed the killings. 16 Years later all is quiet and peaceful. Amond the tranquility there are few raw reminders of that day. 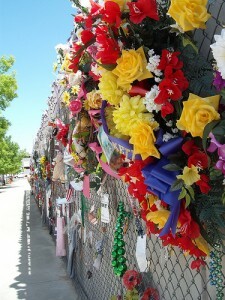 It is a very emotional place. Visitors talk softly, it is like being in a church or other sacred place. 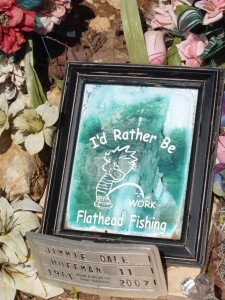 Memorials like this are very important. 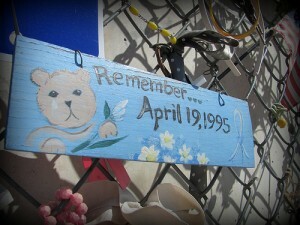 We don’t ever want to forget what happened, even though many of us still don’t understand how such a thing could occur. 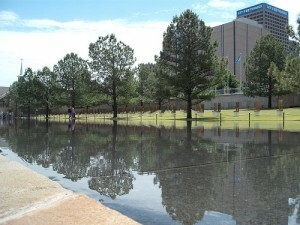 This entry was posted in My World, Oklahoma City, Oklahoma History on April 19, 2011 by Alan Bates. 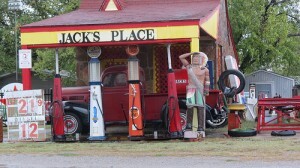 I found Doaksville, Oklahoma last week during a trip to southeast Oklahoma. I had never heard of Doaksville and found it only because I was looking for a geocache. I love serendipity and this is a good example why. 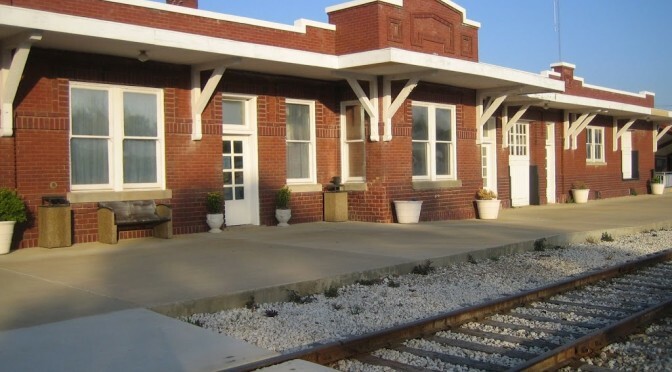 Doaksville was once the biggest city in is now Oklahoma. It was started as a trading post by Josiah Doaks in the 1820’s. It grew quickly and for a time was the Choctaw Tribal Capital. The Civil War started its decline and it became a ghost town by 1900. 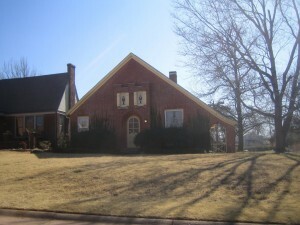 In the mid 1990’s the Oklahoma Historical Society did extensive archeological excavations of many of the former structures. The site is now well maintained and has excellent interpretive displays. 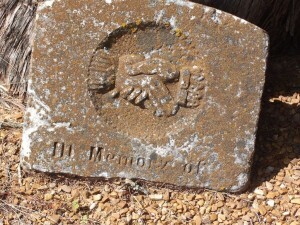 To get to Doaksville you walk through the massive Doaksville Cemetery. 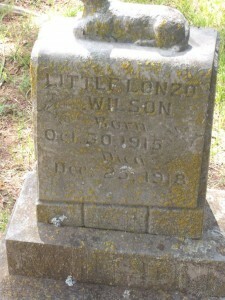 It is very easy for me to get distracted by old cemeteries. I get to wondering things like, “Does anybody know anything about Little Lonzo Wilson?” a three year old who died on Christmas Day 1918. 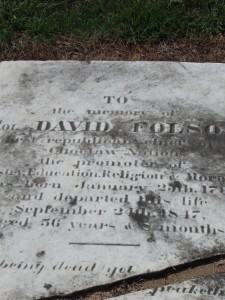 The grave of David Folsom, former chief of the Choctaws. 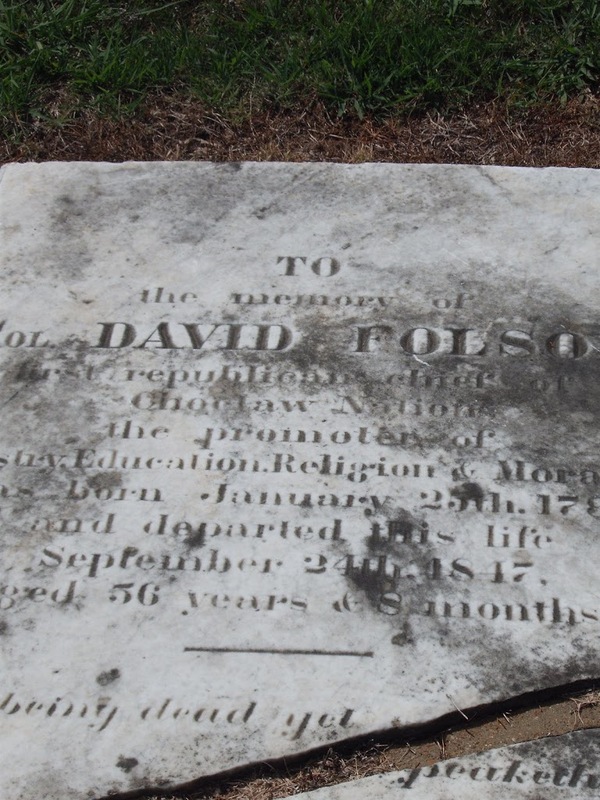 A Christian slave owner who brought missionaries to Indian Territory and supported education efforts. “Christian slave owner” is a concept that is very hard to imagine right now. It also applies to some of the founders of our country. 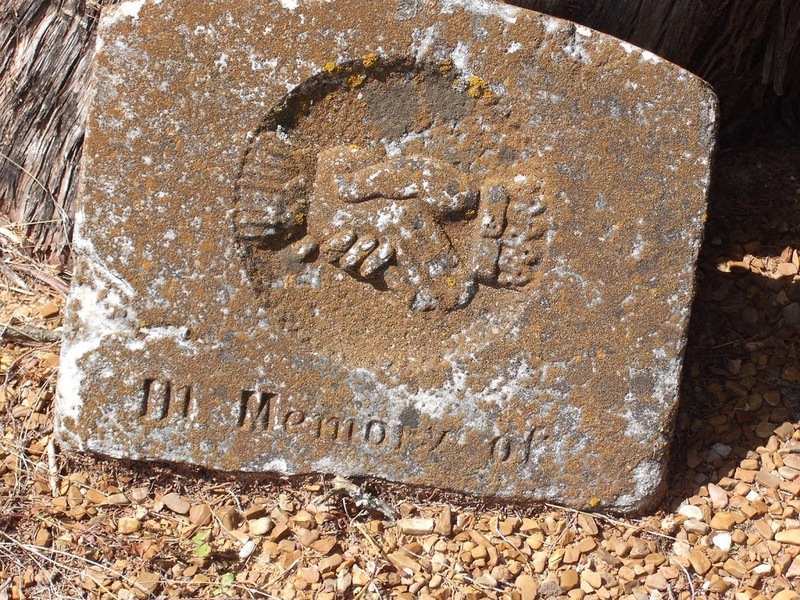 Old piece of a gravestone – separated from its grave. I love the held hands. Jimmie Dale I hope that you are fishing somewhere.After you walk through the cemetery you get to Doaksville. Nobody there but me for over two hours one day. Excavated Tavern- this was the hearth. 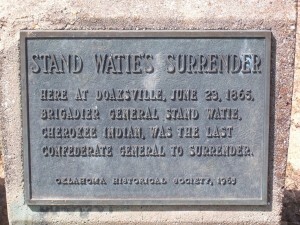 A plaque commerating the surrender of General Stand Watie. A Cherokee born in Calhoun, Georgia. A wealthy plantation owning slaveholder. Supported Cherokee removal to Indian Territory. 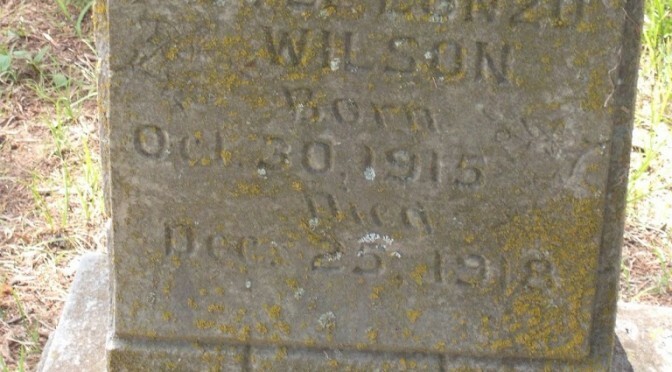 For a time he was Principal Chief of the Cherokees. Led the First Indian Brigade of the Confederate Army. Fought Union troops in Arkansas, Indian Territory, Missouri, Kansas, and Texas. He also fought fellow Indians who did not support the Confederacy. 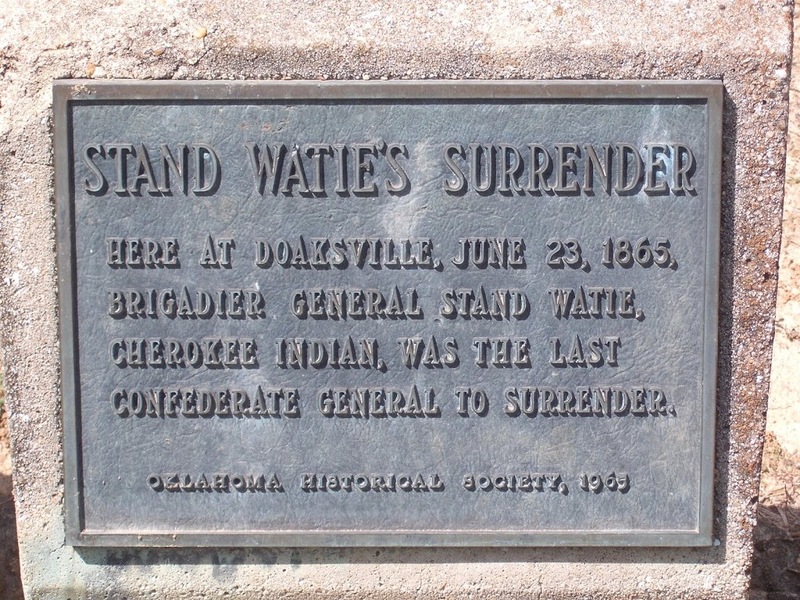 Surrendered to Union troops after the battle of Doaksville. The jail. Three cells, not very big. Three foot thick limestone. Here is the cache I was looking for. For other views of our world check out That’s My World Tuesday. 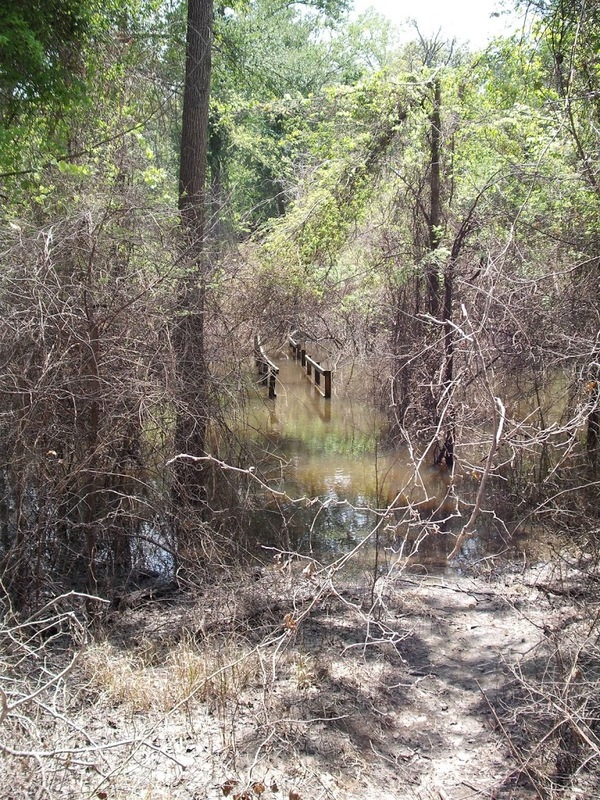 This entry was posted in Geocaching, My World, Oklahoma, Oklahoma History on June 29, 2009 by Alan Bates. 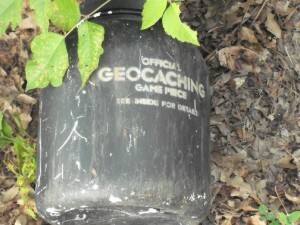 I went on a little geocaching expedition in southeast Oklahoma last Friday. 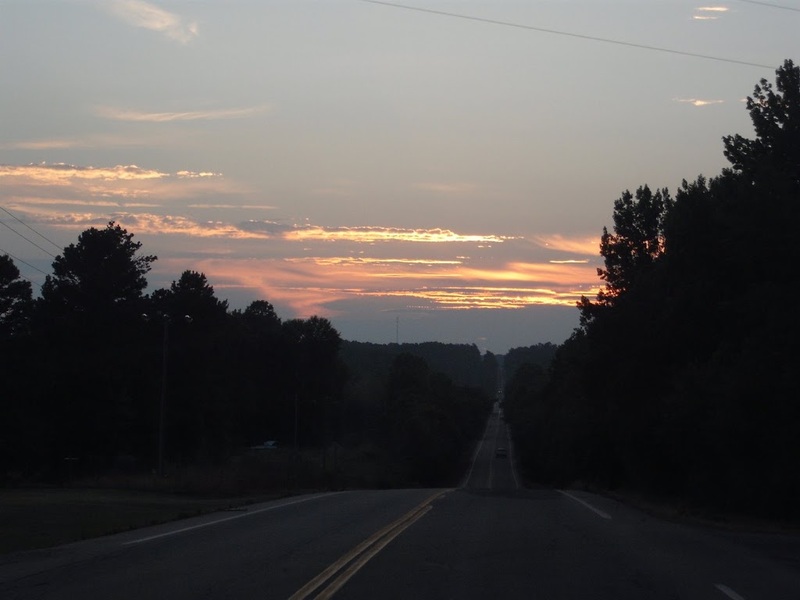 Southeast Oklahoma is nicknamed “Little Dixie” because historically and culturally it shares a lot of traits with Arkansas, Lousiana, and east Texas. 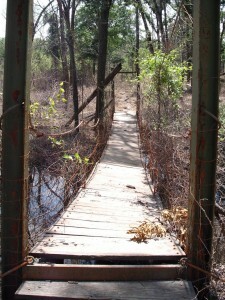 At Hugo lake I had to hiking across a couple bridges. The first one, although shaky, was doable. The second bridge was under water. As we say in natural gas business. 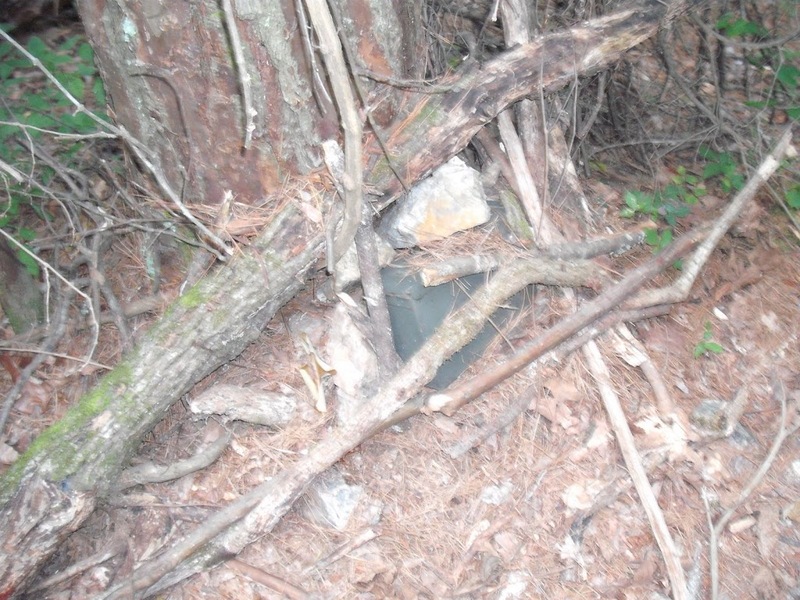 I plugged and abandoned this cache. I ran into a major distraction at two caches in an abandoned town named Doaksville. I had never heard of Doaksville but at one time it was one of the largest towns in Indian Territory. It has been a major archeological site and there are tons of interpretive signs and information. I spent a couple hours their poking around. I’m researching another “My World” post for Doaksville. It is of major historical importance. For instance the last confederate general to surrender after the Civil War did it at Doaksville. The town was abandoned for various reasons in the 1880’s and was just left to rot. Next, Idabel, home of the Girls of Today in Idabel Oklahoma. 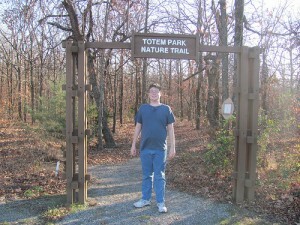 I had been there several times but had never found a cache there. 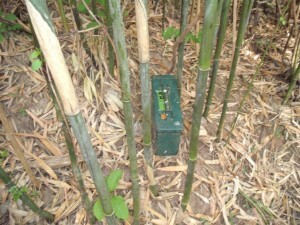 The cache I found in Idabel was in a bamboo patch. What’s up with that? 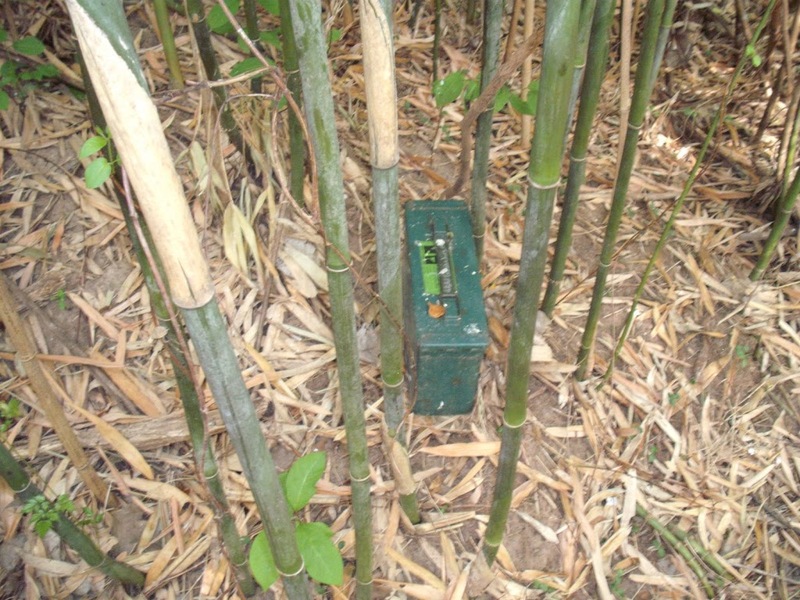 Bamboo? Then I drove up to Beaver’s Bend State Park. 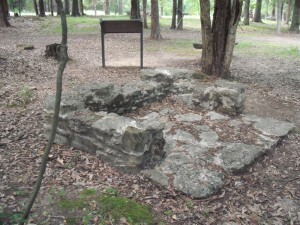 One of the jewels of the Oklahoma State Park System. 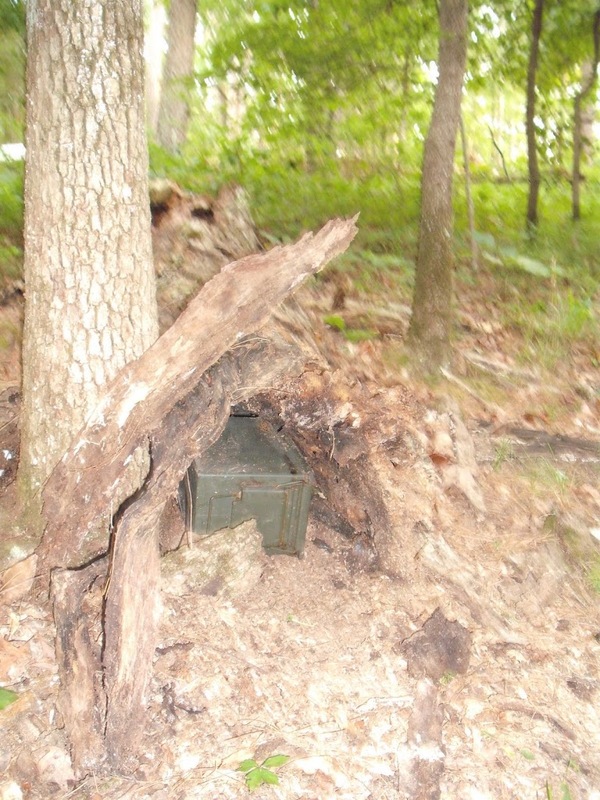 I found a couple caches there and two whitetail deer and a deer fawn who popped up from its hiding place about 15 feet away from me. 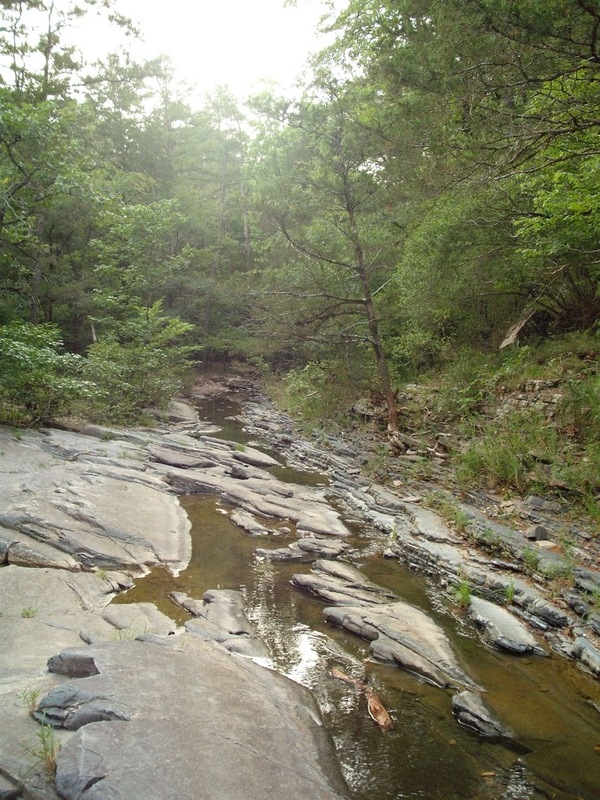 Beaver’s Bend is a beautiful place to visit. Fortunately for geocachers. 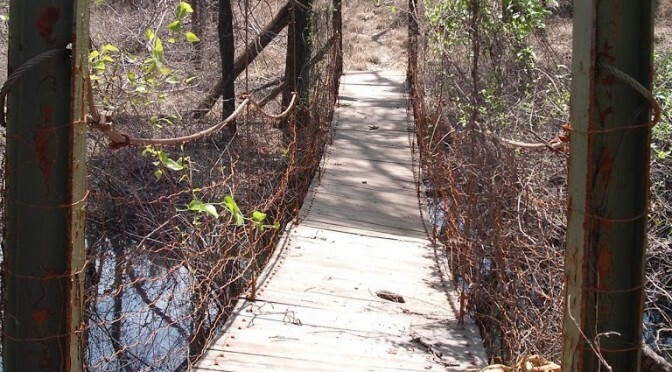 I think only about 1 in a hundred people go more than 50 yards off the trails. At about 7 pm I called it quits. I called Sweetie and told her that I was driving home. I got home a few minutes after midnight. What a day! Check out That’s My World for other views of our world. 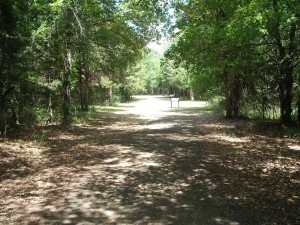 This entry was posted in Geocaching, My World, Oklahoma, Oklahoma History on June 22, 2009 by Alan Bates. I love little “creases” in time and space. Things that one would not expect. Did you know that Oklahoma at one time had a pretty sizeable mining industry? 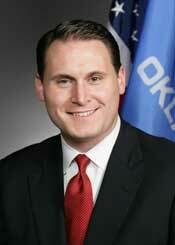 Yep, nothing left of it now except a few superfund sites in far northeast Oklahoma. In southeast Oklahoma there used to be a sizeable coal mining industry. Many of the miners came from Italy and lived in the town of Krebs just on the other side of McAlester. The coal played out a long time ago but the town lives on. 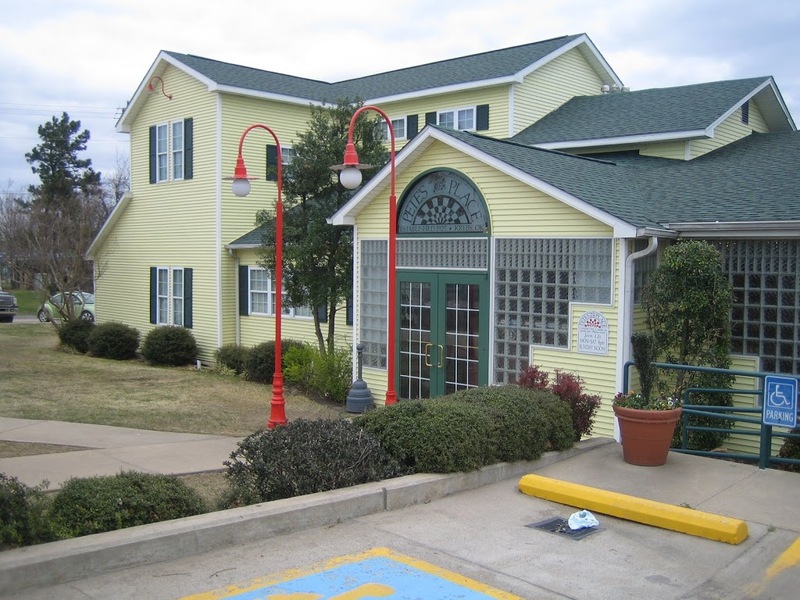 Krebs is known for several things but what it is most famous for are its Italian restaurants and the most famous one is Pete’s Place. I was introduced to Pete’s Place by Sweetie’s family. 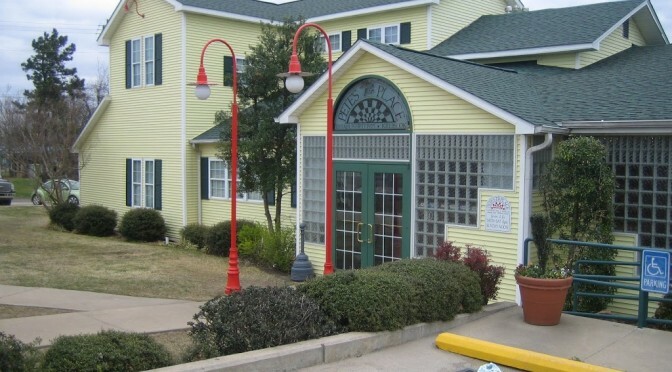 We have celebrated many birthdays there and Sweeties parents used to have their employee Christmas parties there. Sweetie’s Dad has passed away and her Mother, Nana sold the pharmacy so we haven’t been there in a couple years but we stopped there on our way back from Antlers this past weekend and celebrated my birthday! For Sweeties family celebrating birthdays is a process, not an event so there are several meals involved, sometimes several cakes, and it goes on for days. I really like the way they do it. One thing about Pete’s if you have kids, they have a little kitchen set up. You can stir the dry spaghetti if you want and bang on the pots and pans and nobody cares. SPB started doing that when he was about 2 and he still likes it. 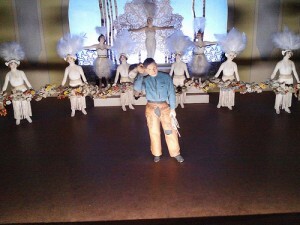 Here is a shot of him in action. Pete’s is a little different in that they don’t have a big common dining room. Your dining party gets their own small room with a door. The food is served family style and they bring lots of it. I intended to photograph the food but but the time I thought again, it was all gone. The pasta is old school. I love the ravioli. This time they had something new, gnocchi. It is kind of a potato based pasta dumpling. I loved it. Pete’s is open for lunch only on Sundays, other days they open at 4 pm. I rate is four stars out of four. Krebs has other restaurants also. 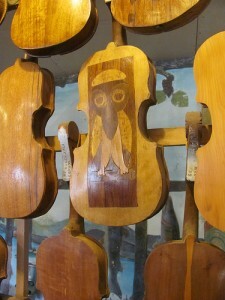 I’ve been to all of them and they are all good, Roseanna’s, Giacommo’s, and Isle of Capri. Most of them are open during the day. Also try the Italian Grocery, Lovera’s. 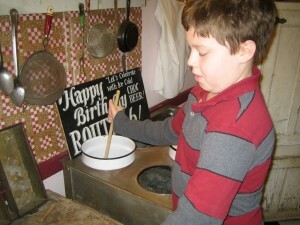 This entry was posted in Eating, Family, Oklahoma History on April 8, 2009 by Alan Bates. Antlers, Oklahoma is a small community of about 3000 or so in Southeast Oklahoma. 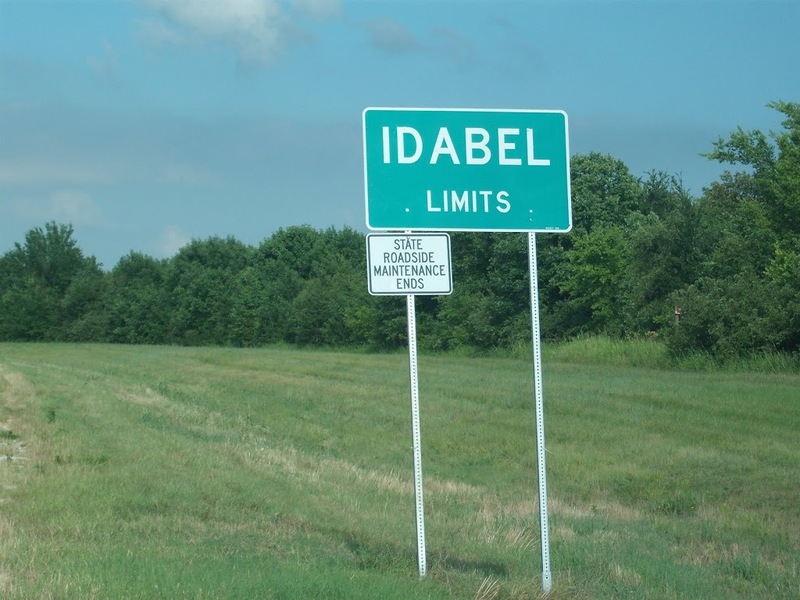 It is known as the “Deer Capital of the World” because of the large population of White Tail Deer in the surrounding area. 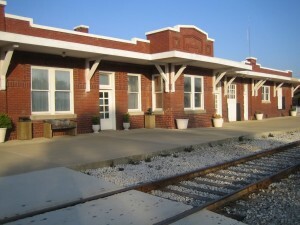 It has a fine restored Railroad Depot home of the local Historical Society and the Chamber of Commerce. There are not too many other buildings of note in town. What Antlers is really known for is having the biggest disaster that nobody ever heard of. 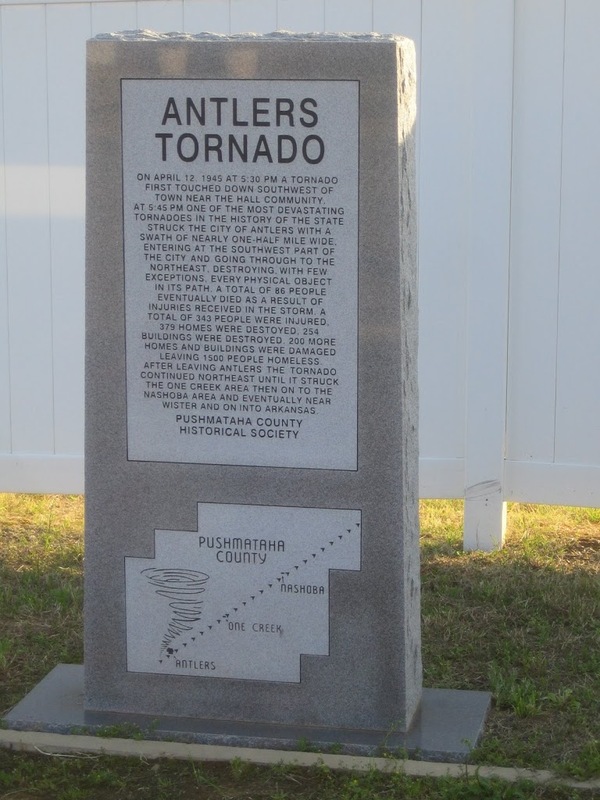 On April 12, 1945 an F5 tornado hit Antlers and killed 63 people. The same tornado continued on to the northeast eventually getting to Muskogee, Oklahoma. All told killing 86 people and injuring 690. 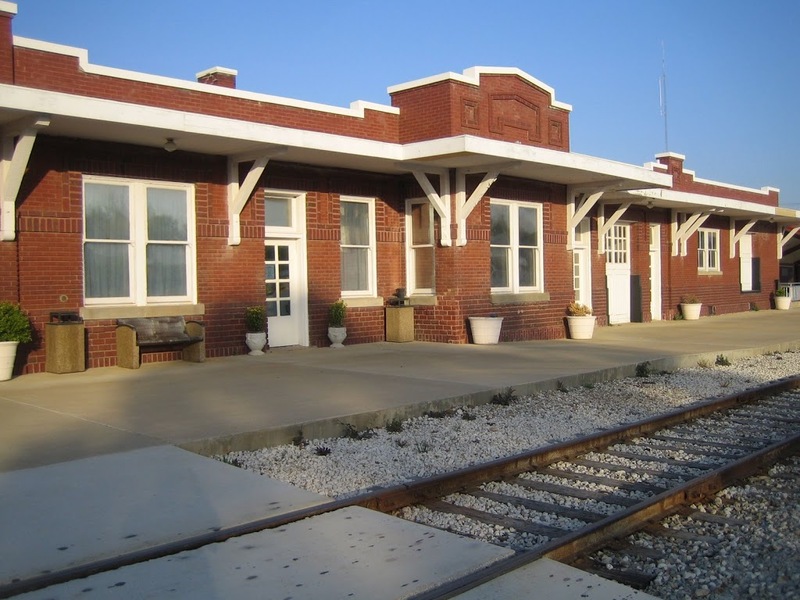 It pretty much wiped out most of the buildings in town, except for the railroad depot. You wonder why this didn’t get much publicity? Because President Franklin Roosevelt died the same day. You want to know something more amazing? Especially about the weather here in Oklahoma? 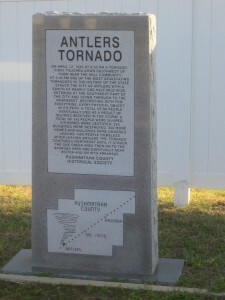 The Antlers tornado is rated only 16th on the worst weather disasters to hit Oklahoma in a list published by the National Weather Service. Its only number 3 on the tornado list. The worst tornado in Oklahoma was in Woodward, in the northwest part of the state, on April 9, 1947. It killed 181 people. The Woodward tornado is rated only number 4 in the list of top Oklahoma weather disasters. The dust bowl during the depression is number 1. Now you know why I get real nervous during tornado alerts. By the time Sweetie gets SuperPizzaBoy, the dogs, the cats, and her wedding glassware in our “safe place” she locks me out and wishes me luck! No room at the inn. That’s just one reason I call her Sweetie. She has her priorities in order. For other pictures of the world around us check out That’s My World. 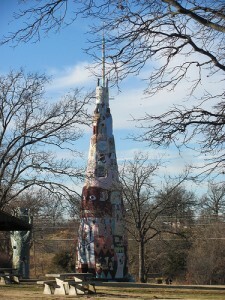 This entry was posted in My World, Oklahoma History on April 6, 2009 by Alan Bates.